One could feel guilty, I suppose, spending three days on the beach, relaxing, drinking dollar-fifty beers, and swimming around in modestly warm water. One could feel guilty, but there are far too few people around here for anyone to notice your guilt. 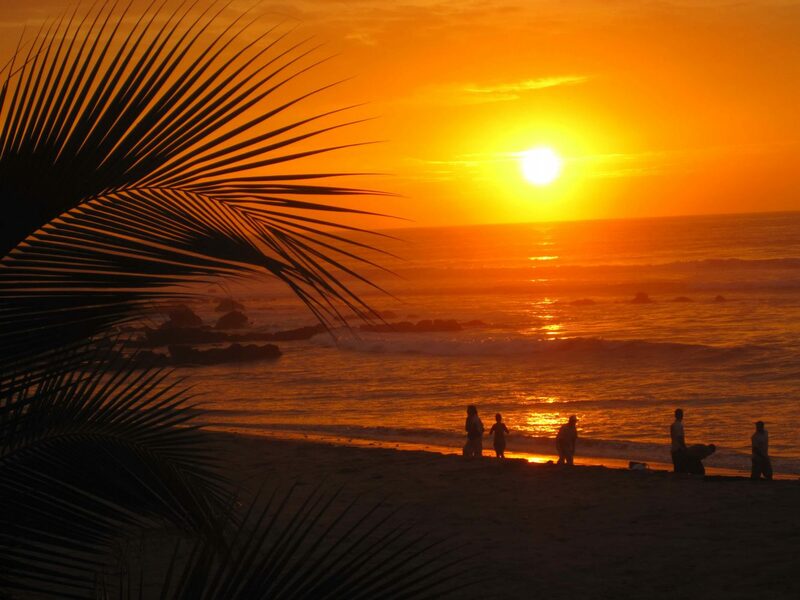 So just relax and enjoy the sound rolling waves collapsing down on the beach, take another gulp of your beer, and enjoy the ocean calm of Punta Sal, Peru. 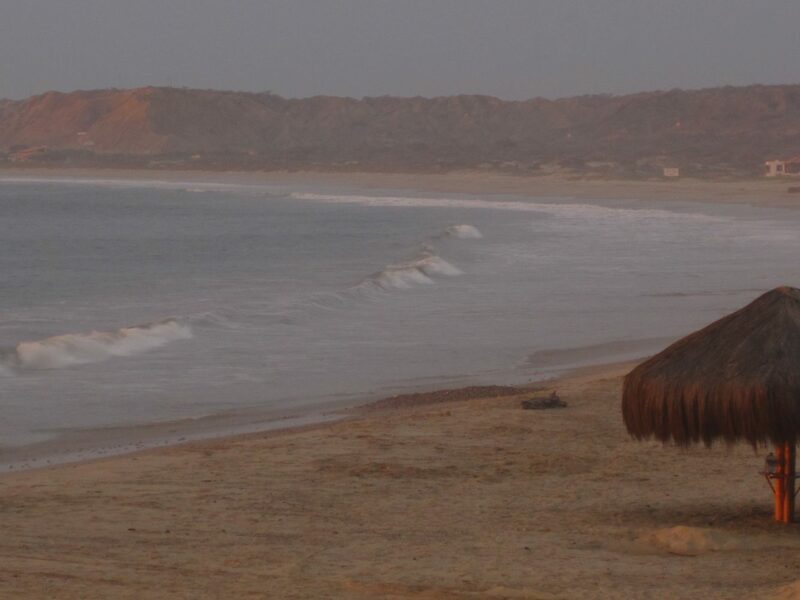 Punta Sal, Peru sits just an hour away from the northern provincial capital of Tumbes, and just a little bit north of the backpacker’s playground of Mancora, which is famous for its famous cheap beach holidays. Because of its far northern location, this sleepy beach town escapes from the icy cold waters that plague the rest of Peru. It’s calming atmosphere makes for the perfect refuge for the many travellers who have pushed and pulled their way through the various sites of this Pacific Coast country. Traveling Peru can be a rigorous adventure. It is filled with long bus journeys, high altitude locations, harshly dry deserts, and difficult treks. And although the value of the adventures that one can find visiting sites such as Chan Chan, Lake Titicaca, and of course Machu Picchu is priceless and invaluable, there is something to be said about sitting back and taking a couple days to replenish your energies. 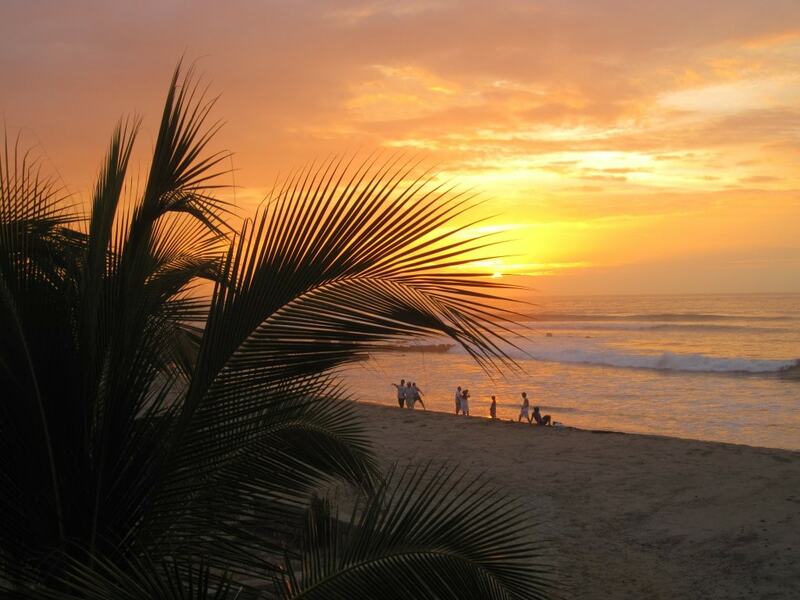 Punta Sal is Peru’s perfect location to lay back in a hammock and let the sound of the sloshing waves ease all your aches and pains, both mental and physical. the coast of South America all the way southward to Chile. Because of its semi-arid location, this sleepy beach town avoids the sometime torrential rains felt in the coastal regions further north, but yet remains far enough north that its waters are swept by the northern current rather than the ice cold Humbolt current that runs north along the coast from Antarctica. The coast line is graced by a wide variety of birds looking to fish the rich waters. Besides the usual pelicans and vultures, it is also sometimes common to spot one of the, usually only seen on the Galapagos Islands, Blue-Footed Boobies. Aside from the usual fish that swim the waters off shore it is also possible to spot some of the different whale varieties. Normally around early June the impressive Humpback Whales can be seen off the coast making their annual pilgrimage from the Antarctic to the northern waters off the coast of Western Canada and Alaska. If it’s not relaxation that you’re looking for, there are still a number of activities that one could take part in here in Punta Sal; the most popular of which is surfing. 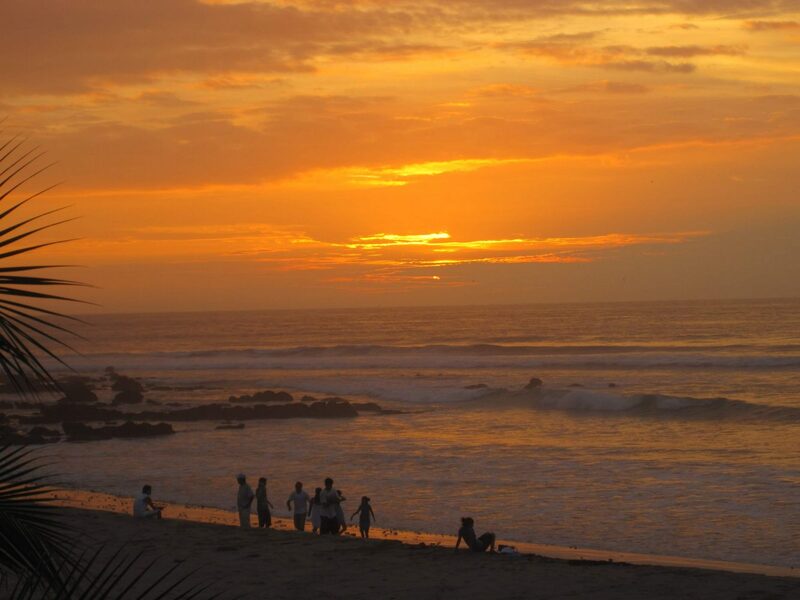 In fact, many claim that the best waves in all of Peru are found in nearby Mancora where the long barrelling right-handed waves seem to roll forever. On a sunny day with a nice breeze the coastline is speckled by dozens of large kites, as the enthusiastic kite surfers skim across the waters. Punta Sal and region will definitely not disappoint. 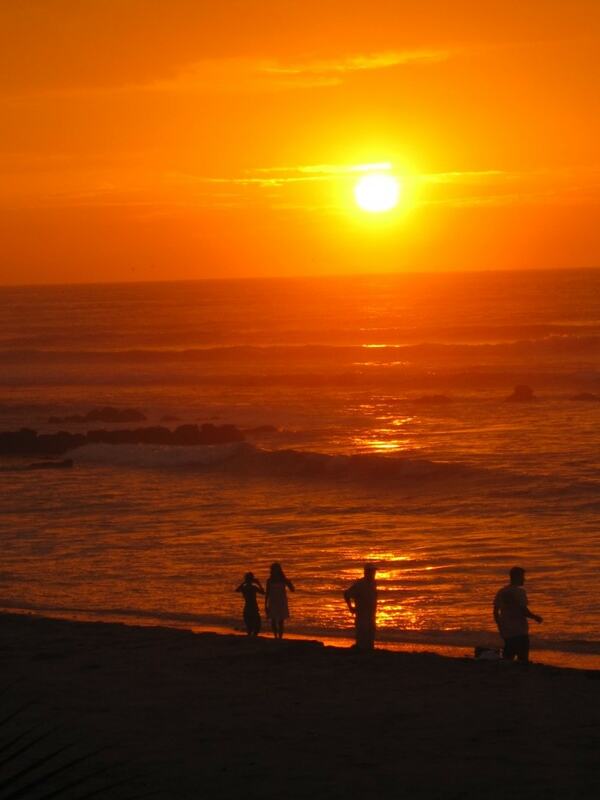 The clean beaches are unmatched anywhere along the coast of Peru, and the waters are by far the most comfortable. And whether you’re swinging the day away in the hammock with a book, or ducking waves and catching surf, there really isn’t anything that beats a good day at the beach. I’ve never heard of anyone speak of the beaches in Peru before. Sounds idyllc and your photos are stunning. Another place to put on the list- and no guilt ever needed for enjoying the simple pleasures in life. It is why we are all here- to live and enjoy. nothing does beat the beach day you have described. Live it tomorrow again for me please! The beaches in Peru are under-rated. It is straight beach all the way from the northern border, to the southern border. The reason they don’t get any pub is because the water is freezing cold in all parts of the country except for here in Punta Sal and Mancora! Wow, no one should feel guilty about that!! What beautiful pictures. Speechless with the beautiful colors of the sunsets here. How much is it to get there again?